The following is a contact list and we will periodically ad to it. 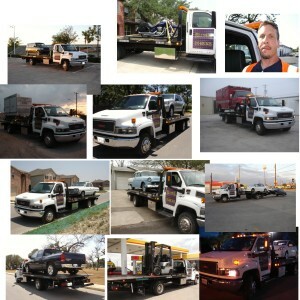 To E-mail us: phil@philztowing.com NOTE; E-mails sometimes end up in the junk/spam folder so if you need a quote and we don’t respond that is why it is usually better to text or call for a quote, but we do try to check the spam folder as often as possible. Mailing address is available at our discretion to reduce junk mail, Just email us if you need to send something through the post office for a mailing address. We are mobile and usually close to the sea world area of San Antonio, Hwy 151…., Potranco rd…., Hunt lane…, Ingram rd…., Marbach.., Richland hills.., Old Hwy 90. We originally started out as Phil’Z Towing , the apostrophe ‘Z , was placed instead of ‘S, this was to prevent confusion with other Phil’s towing businesses. We are now just going by PHIL Z TOWING & the Z represents a lightning bolt. 2017 contact information is current. WARNING; Proprietary information on this web site; all content, pictures included are private property, using any information is forbidden, without express written consent from owners, past consent does not entitle you to present and future consent as of the inclusion of this warning.